I have "Netgalley" to thank for scoring a review copy of "Wolf Winter" by Cecilia Ekback. I was intrigued by the title and setting: Swedish Lapland of 1717-1718. Also there are wolves (always a plus for me)! 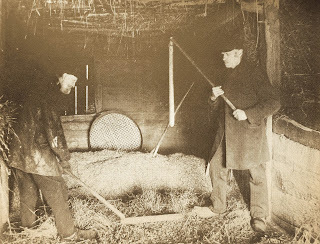 A family of immigrants from Ostrobothnia in Finland have arrived as settlers in the Swedish countryside. They've barely arrived before the older of two daughters, Fredericka, discovers the remains of murdered neighbor. Soon the family is confronted with an especially harsh winter -- the "Wolf Winter" of the title -- and finds their own troubled past has not been entirely left behind. There are magical-realism elements to the story, which I won't elaborate on to avoid spoilers. I will note that the story takes place a generation after a time historically famous for witch hysteria in the region. 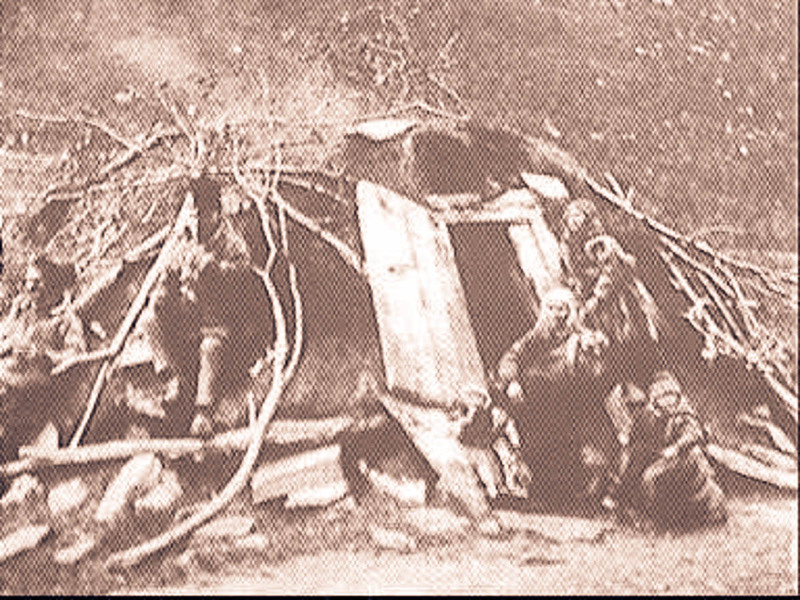 In particular, Ostrobothnia was home to the executions of twenty women and two men as witches between 1674 and 1678. How do I know this? Because reading "Wolf Winter" made me curious and I dug around a bit -- a quality I definitely like in a book! 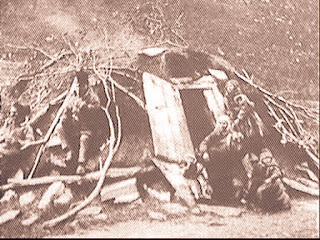 In the course of "Wolf Winter," we also encounter members of the native, nomadic Lapp community. While a level of interdependence between the Lapps and farming settlers is necessitated by isolation and harsh conditions, there is also a fair amount of friction and mistrust. Maija and Frederika both try to bridge this gap, with only limited success. Maija in particular can't seem to stop herself from making assumptions and getting caught in cultural misunderstandings. Nonetheless, Maija is an interesting, intelligent and resourceful character. She is also very bad at taking even the bluntest of hints, and so puts herself as well as her family into danger. Her lack of the social graces shows in her interactions with her own teenage daughter, the Lapp leader she would like to befriend, and the other settlers who generally find her curiosity annoying and her manner too demanding -- "for a woman." For her part, Frederika is smart and stubborn, and just beginning to understand and apply her own personal gifts. Women and children are especially vulnerable in this harsh, unforgiving world, and Frederika has to rise to confront problems the adults around her have evaded. Even the priest has a secret past he can't entirely escape. His responsibility is to obey the bishop and keep his parishioners obedient to the orders of the king. He sets his mind to do this, even when he finds those orders destructive and worse than pointless. "...her eyes were light, brown or green -- seawater through the slats of a dock." "Late autumn this year had violence in her hair, angry crimson, orange, and yellow. The trees wrestled to free themselves of their cloaks, crumpled up their old leaves and threw them straight out into the strong wind rather than just let them fall to the ground." "At first Gustav's eyes were blue. A sea. the rings from a jumping fish." I don't know why I'm drawn to stories about people surviving in extreme cold conditions. I hate being cold and despise icy ground, and am not fond of snow (unless I'm inside a cozy and well-stocked house looking out at it through a window). Reading a book like this is as close as I ever care to come to blizzard conditions and frostbite, but I do enjoy the reading! In fact, I ended up reading this book twice in quick succession -- I picked it up and finished it in the days preceding a total hip replacement. Once I got home and had recovered a bit, I felt that in a fog of anxious anticipation and pain, my brain just hadn't been able to give the book a fair first read. So once I was finally feeling a bit better, I decided to read it again. On the whole I quite liked "Wolf Winter" and would recommend to readers who like historical mysteries, or who just find the setting intriguing. 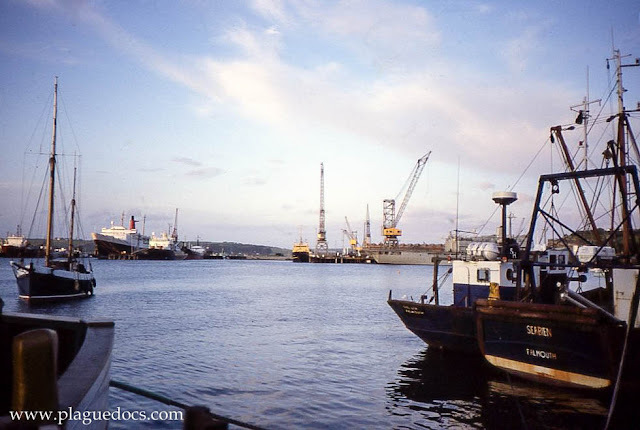 *I normally use my own photographs for this blog, but although I've (very briefly) visited Finland, I don't have digitized versions of my photographs to share. So I checked the Wikimedia Commons site for historical photographs to use, and came up with a few really interesting shots. These are old enough to be out of copyright, though they also also lack attribution and much in the way of context. Swedish Lapland, 1717. Maj, her husband Jan-Erik and her daughters Frederika and Marit arrive from their native Finland, hoping to forget the traumas of their past and put down new roots in this harsh but beautiful land. Above them looms Blackåsen, a mountain whose foreboding presence looms over the valley and whose dark history seems to haunt the lives of those who live in its shadow. Notably, the names of several characters have been altered from the version I read. It's possible other edits have been made as well, which might or might not supersede some of my comments. 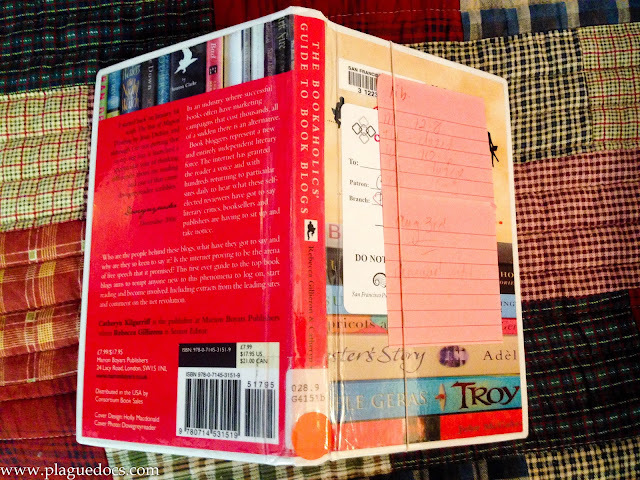 "The Bookaholics Guide to Book Blogs" was published in 2007, which makes it somewhat outdated in attitude as well as specific details. Perhaps even more of a disadvantage is that it's not available in e-book form, which would facilitate clicking through the links. Library copy of "The Bookaholics Guide to Book Blogs"
Available at $15.00 from Amazon, I was reluctant to buy it until I could be sure I'd find it useful. Thanks to inter-library loan, I was able to get my hands on a copy to work with for a few weeks. Despite being outdated, "The Bookaholics Guide" does contain information that would be useful to those who write (or want to write) a book blog, or who enjoy reading book blogs, or those who are just generally interested in keeping up with books and the publishing industry. "The Guide" categorizes book blogs in a way that didn't entirely work for me, but did make me think about the concept of categorizing blogs. I realized that the book blogs I enjoy and like to follow do fall naturally into different categories, and it may be useful to consider how they group together -- in the sense of helping me identify additional blogs and columns I would enjoy reading. An early chapter of "The Bookaholics Guide" speculates about bloggers' reasons for blogging. Overall, the ideas seem unnecessary these days, when blogging is a pretty common activity and means of expression. Once again though, some interesting points are raised and provide food for thought. And of course these are not mutually-exclusive reasons for blogging. Reasons not mentioned include blogging for money and/or to receive free review copies of books -- reasons which are not exclusive of the others. "The Bookaholics Guide to Book Blogs" also has some interesting thoughts on bloggers' choices for blog names and handles. "Dovegreyreader," for example, provides a much different mental picture of what sort of books would be covered than "Bookgasm." Current Blogs Covered by "The Bookaholics Guide to Book Blogs"
"Dovegreyreader" is a blog praised early on in "The Bookaholics Guide." 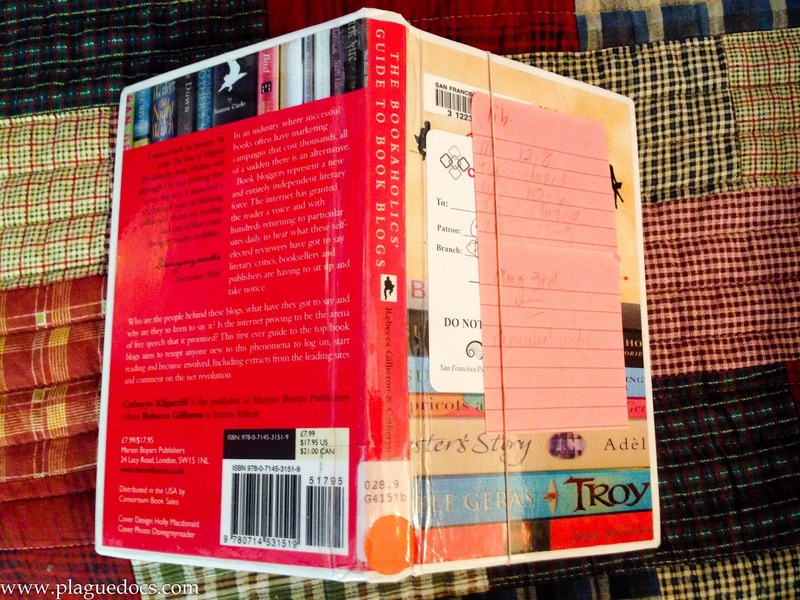 Dovegreyreader is still a very active blog, and has become one of my favorites. 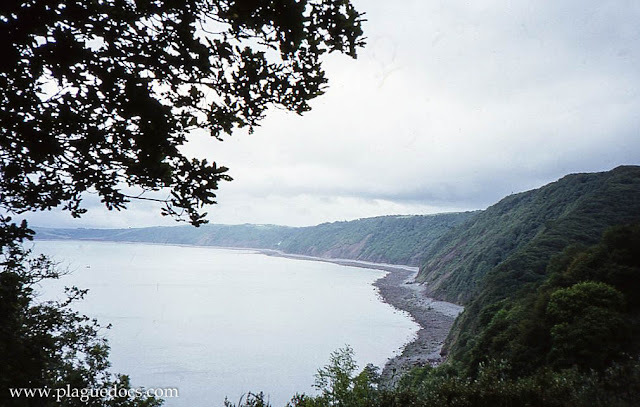 Dovegreyreader lives and writes from her home the Devonshire countryside of England. Her blog is where, for example, I first learned about "H is for Hawk," as well as about the Wainwright Prize (which ignorant me had never heard of before). "Bookgasm" is another active blog, which covers genres I'm partial to, like horror and mystery. www.salon.com/topic/books -- Collection of articles about books, mostly nonfiction and interviews with authors of fiction and non fiction. Part of the the Salon.com news site. If anyone has favorite book blogs to recommend, please share in a comment -- I would love to have more to check out! Overall Conclusions About "The Bookaholics Guide"
I would only recommend "The Bookaholics' Guide to Book Blogs" with reservations -- to a niche audience with an interest in book blogging and the history of the Internet's impact on publishing, bookselling, writing, and reviewing. Book bloggers, those thinking about starting a book blog, as well as readers with an interest in trends in online writing about books would be likely to find it of interest. I'd suggest doing what I did and seeking a library copy, or finding it second hand. There just isn't enough up to date information to make it a recommended purchase. Like many fans, I was introduced to "Poldark" by Masterpiece Theater, which aired the original BBC TV version in the late 1970s. Made me want to read the books as well as visit Cornwall -- and over the the succeeding years I have done both. Much more recently I was able to re-watch the first season of the original series. Re-watching made me want to re-read the books as well, so I dug out my old collection of yellowing paperbacks -- yes, also dating from the late 1970s. To be honest, these days I much prefer reading e-books to paperback books. The contrast is better, and I can adjust the font and size of the print to suit. Much to my disappointment, at time I was looking (about a year and a half ago or so) the Poldark books weren't available in e-book form, and were apparently out of print even as paperbacks -- 2d hand books were selling for pretty steep prices. Fast forward to 2015, and the BBC has remade the books into a new TV series. In the U.S., we'll be able to watch the new "Poldark" on Masterpiece Theater, starting next Sunday, June 21, 2015. In company with the show, special editions of author Graham Winston's first two books in the series, "Poldark" and "Demelza" are being re-released in a number of forms, including (yay!) Kindle e-books. If you have Kindle Unlimited, you can read "Poldark" for free. If you do, be forewarned that there is a total of 12 books in the series -- all of which have been re-released. Once hooked, you'll be there for the entire investment in books (whether e or paper) and reading time. The basic story of the initial books is that Captain Ross Poldark has been away from his home in Cornwall -- fighting for the British Army in the American Revolution. He's been out of touch with family and friends for so long that many presumed him dead. In 1783 he returns home to find his father has died, his property has been neglected into ruin, and the woman he'd planned to marry is engaged to his cousin. I think these books will appeal to a wide variety of readers. The character of Ross Poldark is dark and impetuous, as well as kindly and fiercely loyal to those who have earned his regard -- in other words, he's a classic romantic hero. Demelza is every bit his match in intelligence and nobility of character, with the added pleasure that we get to watch her grow and bloom over the course of the stories. For the most part they were weakly, stinking, rachitic, pockmarked, in rags -- far less well found than the farm animals that were being bought and sold. Was it surprising that the upper classes looked on themselves as a race apart? Yet the signs he had seen of a new way of life in America made him impatient of those distinctions. Tin and copper mining were long time mainstays of Cornwall's economy, but in the post-war period price-fixing by smelting interests had crashed the value of ore. Banking monopolies further worked to concentrate wealth into the hands of a new monied class, undermining the traditional relationships between land/mine owners and working people. It all starts to sound disturbingly familiar. A miner contracts lung disease as a result of his hazardous work. Unable to work, he resorts to crimes such as poaching and smuggling in order to feed his family. Arrest results in lengthy incarceration, if not transportation to Australia or hanging. A member of the minor landed gentry, Ross is the owner of a couple of out-of-production mines. With mixed success, Ross takes a leadership role in organizing his peers against the undue influence of big money -- trying to restore the balance that has sustained the area for generations. His efforts have mixed success, while earning him powerful and vindictive enemies. It's worth remembering that author Winston Graham started writing the series at the end of WWII. "Poldark" and "Demelza" were first published in 1945 and 1946, respectively. One wonders what connections he might have felt between changes and conditions in Britain at the end of that war, as compared to the times he was writing about. I was able to score review copies of "Poldark" and "Demelza" courtesy of NetGalley; NetGalley asks, but does not require, a review in return for copies of books. The program provides honest feedback for publishers -- that is, there is no expectation that reviews must be positive. Unlike many of my favorite books by Bernard Cornwall, "Stonehenge" stands alone rather than as part of a series. 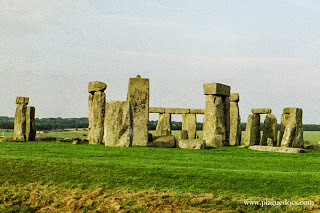 I've been fortunate enough to visit Stonehenge several times during my life and take notice of how the surroundings of the site keep changing (as do I! 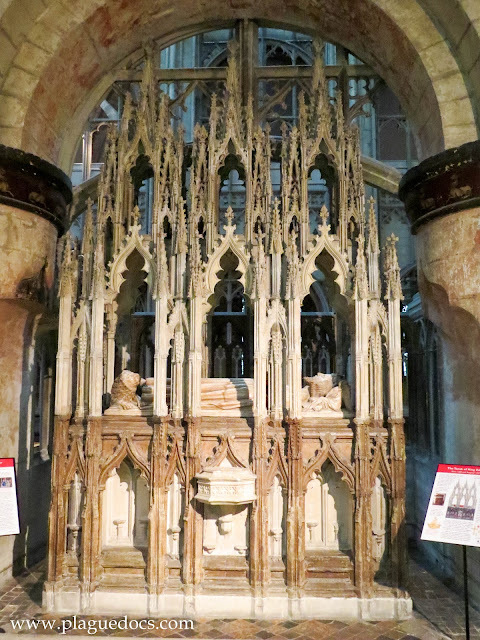 ), but the stones themselves certainly give a good representation of being eternal. Cornwall employs his usual skill in translating historical and archaeological facts into a vivid reality of the reader's imagination. 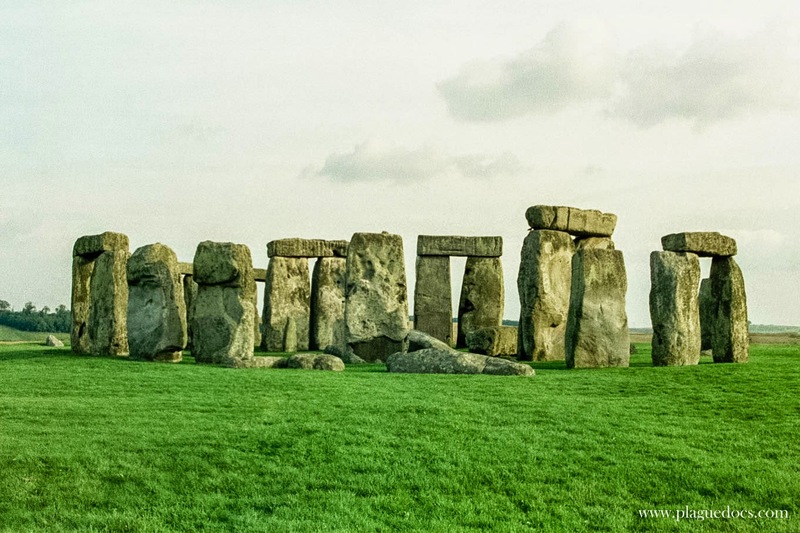 In the case of Stonehenge, much is known while more remains a mystery. The detailed historical notes at the end of the novel are informative and made a number of points I was previously unaware of. For example, "henge" is a Saxon word meaning "hanging." 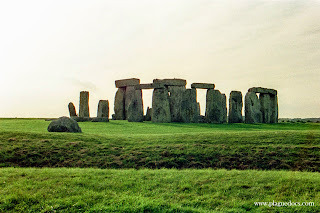 So it is thought to refer specifically to the lintels at Stonehenge -- a connecting feature not seen at other sites. 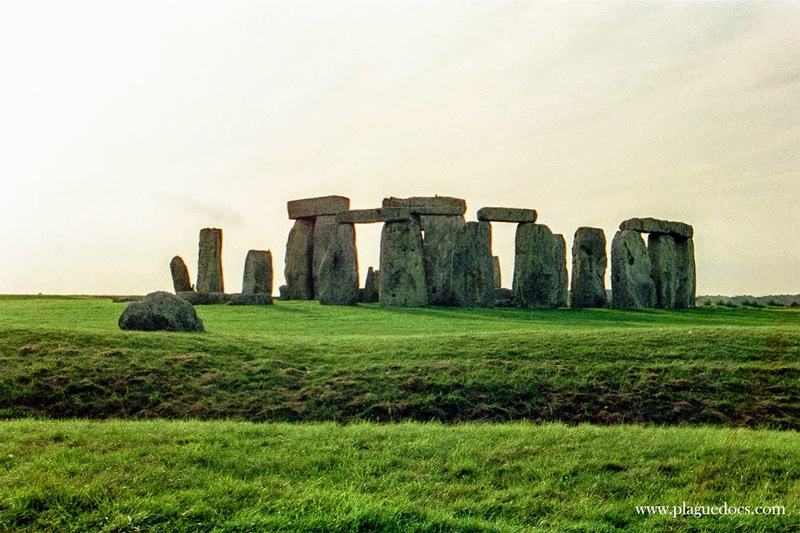 Nonetheless the term "henge" has come to mean any circle of standing stones. He also makes the interesting, and perhaps unverifiable but nonetheless compelling, point that whatever its purpose as an astronomical marker, Stonehenge must have served a larger purpose in the lives of the people who built it in much the same way as later cathedrals do. Most likely the site served as an appropriate location for marking the great events of life: birth, death, marriage etc. as well as seasonal celebrations. 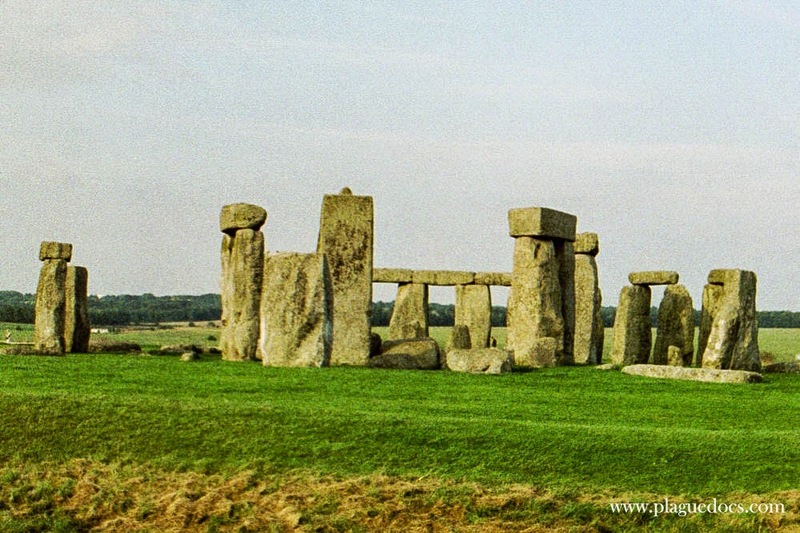 Alignment of structures to capture the sun's rays on specific days was not a new concept when Stonehenge was built. 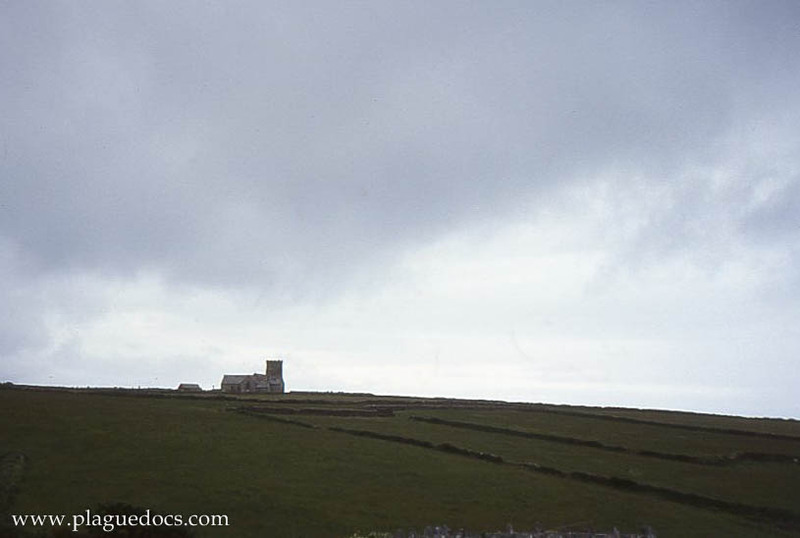 Cornwall cites the example of Newgrange in Ireland. Newgrange is a chambered tomb and temple, best known for being aligned and built such that entrance passage and chamber is illuminated by the winter solstice sun. My name is Uhtred. I am the son of Uhtred, who was the son of Uhtred, and his father was also called Uhtred. So begins "The Empty Throne," book 8 in Bernard Cornwell's "Saxon Tales" series. Fans of the series will remember that book 1, "The Last Kingdom," begins with the identical lines. But in "The Empty Throne" we realize quickly, and with alarm, that this is not our Uhtred. It is his second son, Uhtred, who has been given this name follow the disinheritance of his older brother for training as a Christian priest. I won't say more about this shift in narrators, in order to avoid spoilers. What I will do is comment that every time I think this series may be becoming a bit formulaic, my brain is completely sucked into the world and adventures and I don't care about anything else. BBC America has been tantalizing us with a brief trailer for an upcoming series based on the books, and titled "The Last Kingdom." The ads don't say even what year it will be airing, but I can't wait! There's a bit where a shield wall locks into place that sends shivers up my spine! I was able to get a free (to read) copy of Ian Mortimer's "Edward III: The Perfect King," through a gift subscription to Kindle Unlimited. It's a good and very detailed history of the life of England's King Edward III. 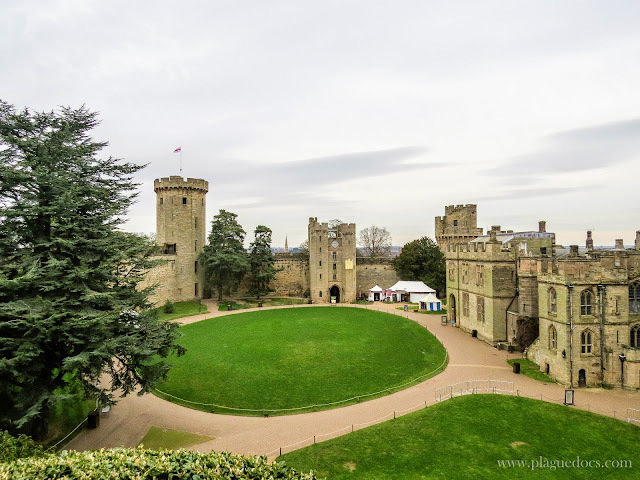 Edward III came to the throne at a young age, following the deposition of his father, Edward II, and lived to reign for over 50 years. So there's quite a lot for a biography to cover. I confess to having gotten a little bogged down in my reading -- not because it's boring, but it is long and a lot of detail even for me. Perhaps most eye-catching is the author's theory that Edward II was not murdered in prison soon after his deposition, or interred in his tomb at Gloucester Cathedral, but rather survived quietly incognito for many years into his son's reign. 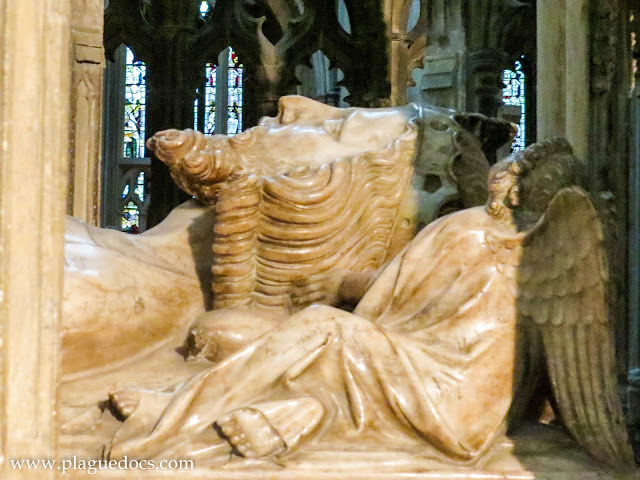 Edward II's tomb in Gloucester Cathedral. Is he really buried there? I'm not sure how widely accepted the idea is, but Mortimer does provide some plausible evidence. At worst, it's interesting food for thought and serves to illustrate that the historic record is not the static body of documentation those of us who aren't historians might presume. Neither nature writing nor memoir are generally among my favorite genres. But there is something unforgettable about this story of a woman in terrible grief from the sudden loss of her father who looks for some kind of relief in bonding with an animal. While many of us would probably look to a dog or a horse, MacDonald, an experienced falconer, chooses to train a goshawk. 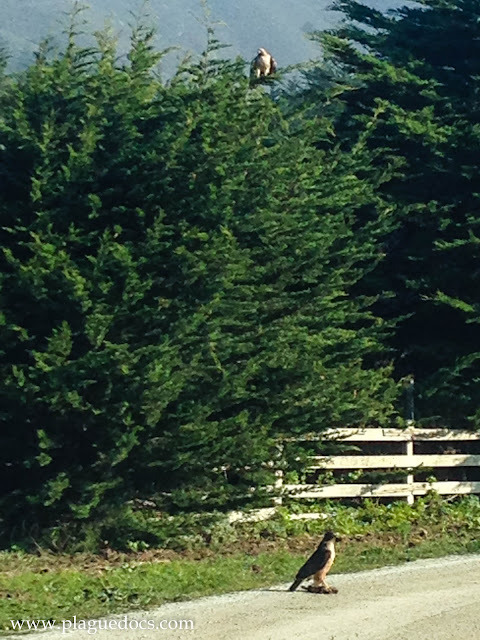 Encountered this pair guarding their kill in the road to barn. He stood off my car for several minutes! I think it's a pair of Peregrine falcons, but please comment if you know. 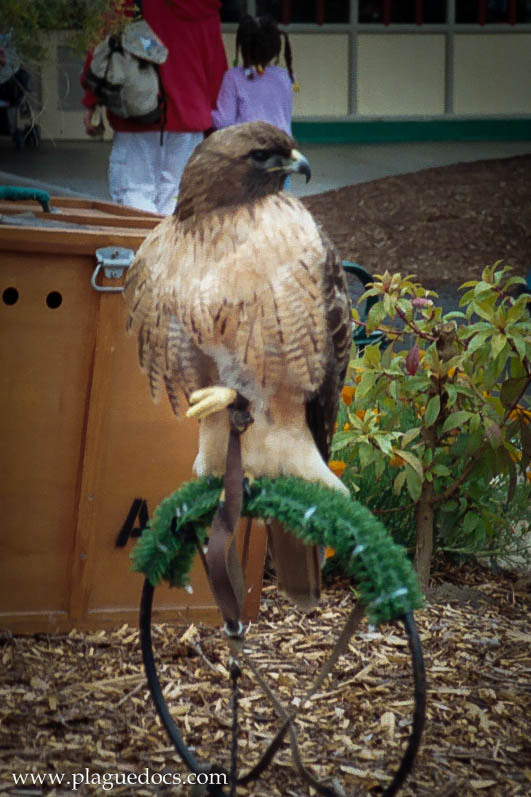 A display of birds of prey at San Francisco zoo. Possibly a Peregrine? Along the way she includes a great deal of biographical information about writer T.H. White, of "The Once and Future King" fame. But the real magic of this book is the quality of the writing. MacDonald is a poet, among her other many talents, and it shows. The language is beautiful, and enhanced by being read aloud in the poet's voice. I think "H is for Hawk" may turn out to be my favorite book of 2015. I'll refrain from more than a passing whine about the latest series of updates to the Audible App for iPhone. Each of which deleted my audiobooks and lost my places -- a pain in any book, but especially one with long chapters. After deleting and reloading the app and the books, it all seems to be working again. Grrr. Some of literature's most terrifying characters, including Dr. Frankenstein and his monster, Dorian Gray, and iconic figures from the novel Dracula are lurking in the darkest corners of Victorian London. They are joined by a core of original characters in a complex, frightening new narrative. PENNY DREADFUL is a psychological thriller filled with dark mystery and suspense, where personal demons from the past can be stronger than vampires, evil spirits and immortal beasts. The wonderful cast features Timothy Dalton, Josh Hartnett, Billy Piper, and the luminous Eva Green as Vanessa Ives. Whether attacked by vampires, pursued by witches, or raving (and possibly possessed by demons) in an insane asylum, she unfailingly retains the poise (and corset) of a proper Victorian lady (who isn't actually proper at all). Indeed, all of the "good" guys in Penny Dreadful have dark secrets and troubled pasts, which can never be entirely buried -- in any sense of the word. If you're not a Showtime subscriber, check the website for other ways to view. If you're already a fan, don't miss out on Tom Blunt's recaps of each episode of Penny Dreadful, found on Word&Film. I'm addicted to C.J. Sansom's tales of Tudor-era lawyer, Matthew Shardlake, and have enjoyed all of them as audiobooks narrated by Steven Crossley. So it was a happy day for me when book #6 in the series, "Lamentation," became available -- it being one of the books I listed in "My Reading Wish List for 2015." At first, I had some concerns that the series might be running out of steam. There's missing book that might get someone (Catherine Parr, in this case) in big trouble. I've seen this plot before. Once I got into it, though, I realized that it might actually be the best book of the series to date. It's 1546 and the aging Henry VIII is burning heretics. The king might be head of the church in England, but he won't tolerate deviation from the doctrine of transubstantiation -- the literal, not merely symbolic, transformation of sacramental bread and wine into the body and blood of Christ. There are even rumors that Henry might return England to Roman Catholicism. Still traumatized by his experience (in book #5) of the sinking of the Mary Rose, Shardlake is forced to attend the burning of Anne Askew, which sickens and frightens him. Shardlake himself, once a reformist, has lost his faith but is willing to practice whatever the king commands. Despite his longing for tolerance and peace, religious factions insert themselves into his life at all levels -- from his personal friendships, to his legal practice, as well as the political machinations into which he (inevitably) becomes embroiled. The question the reader is left with is to what extent political advantage drives religious fanaticism and the hunt for heretics, as opposed to the reverse. As might be expected, we see both cynical, self-interested courtiers and true believers at work. In the hands of those around the king, accusations of heresy against competitors for power and wealth were very handy. Even the queen was not immune, though Henry was seriously displeased by those who unsuccessfully tried to implicate her. The book includes a lengthy and interesting historical epilog. Catherine Parr's "The Lamentation of a Sinner" is a real book that was published in the English language by the Queen in 1547. Catherine was of a reformist bent, but stopped short of actual heresy (as defined by Henry VIII at that time). You can find a copy of the book, which is a sort of spiritual journal, along with the rest of Catherine's known letters and other writings published by University of Chicago Press as "Katherine Parr; Complete Works and Correspondence." As for Matthew Shardlake... It looks as though the next book will see him working on behalf of a new and exciting client. I can't wait to read about it! Back in November, I posted a list of the 10 books I was most looking forward to reading in 2015. At this point I've read several of them, and thought it was time to start updating my progress and what I thought of them. The only cookbook on my list was Gabrielle Hamiliton's "Prune" -- the book named after her NYC restaurant. I'd previously read and enjoyed her unflinching best-selling memoir, "Blood, Bones, and Butter." While "Prune" can certainly stand on its own as a restaurant cookbook, I found it especially enjoyable as a companion to the author's personal story. In "Blood, Bones & Butter" we met Gabrielle Hamilton, warts and all. Her artistic parents often left her to her own devices, and those devices paradoxically led to a fearless embrace of hard work as well as a juvenile delinquent streak. It all culminated in the opening of her restaurant, Prune -- apparently christened after a childhood nickname given Gabrielle by her mother. Gabrielle doesn't even bother trying to come across as likable, but the clearly traceable roots of her culinary inspiration strongly appealed to me. Doesn't hurt that she has an MFA and is an accomplished writer, as well as a workaholic in the kitchen. Much of her food aesthetic nods gratefully to her French mother and Italian (former) in-laws (it's complicated). She's also traveled and incorporated the restaurant cultures of other lands into her own personal brand. I found myself wishing I wasn't much too far away to head on over to NYC and get in line at Prune for one of their highly sought-after tables. 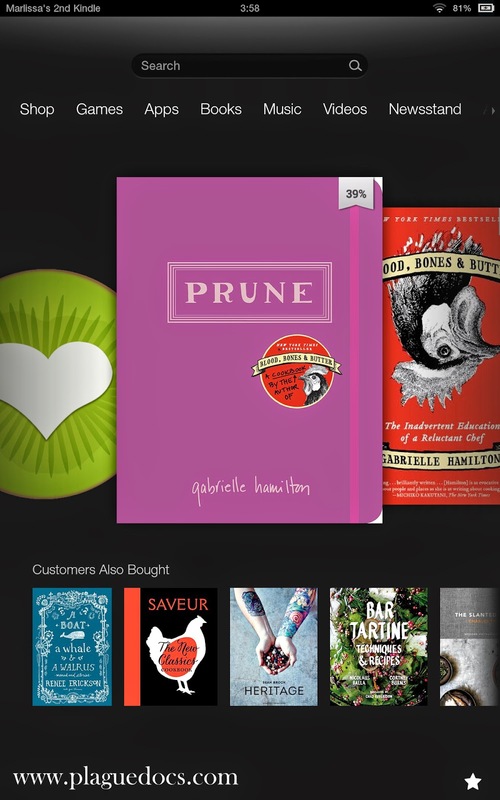 So, when I saw that the Prune cookbook was out, it was something I wanted to check out right away. On the other hand, I don't buy a lot of cookbooks anymore -- generally sourcing new recipes via Pinterest or Google -- so I wasn't entirely sure I wanted to buy a copy. I started by downloading the free sample chapter to my Kindle Fire. With just the table of contents and a few appetizer recipes to peruse, I still wasn't sure if I wanted to plunk down my money and own a copy. I was intrigued, but not quite sold. To my delight, I learned the local library system gave me access to the full e-book version. That way I could look through the entire book, and if I found I wanted to make only one or two recipes, I could simply jot them down and be on my way. Problem solved. Unfortunately it wasn't quite that easy. Figuring out which library apps were available for Kindle Fire, and which format(s) would function turned out to require an hour with a reference librarian (thank you!) who helped me side-load "Blio" and get started -- this after I'd spent the previous afternoon getting contradictory tips from various FAQ and help forums. Number one is irrelevant for an e-book with a search function. Number two is true enough: "Prune" is not a step-by-step how-to cook book. As for scaling the recipes...not that hard. My feeling is that complaint number 3 rather misses the point. Personally, I probably won't make any of the recipes exactly as written. Yes, Gabrielle would no doubt fire me from her kitchen on the spot. That's okay; I don't work for her and I can adapt as I like in my own home kitchen with ingredients and tools I have available. She features the flavors of a misspent youth re-imagined for an unpretentious but sophisticated effect. I also found inspiration in her thrifty use of leftovers and scraps in creating other dishes and in her pantry/walk-in organization skills. No mess, no waste, no spoilage. "Prune" is not just a cookbook, but a gift and an invitation. Gabrielle Hamilton's gift is the dishes that embody her own memories of home, family, and travel. The invitation (or challenge!) is to mine your own food memories for the delicious possibilities that lie there. 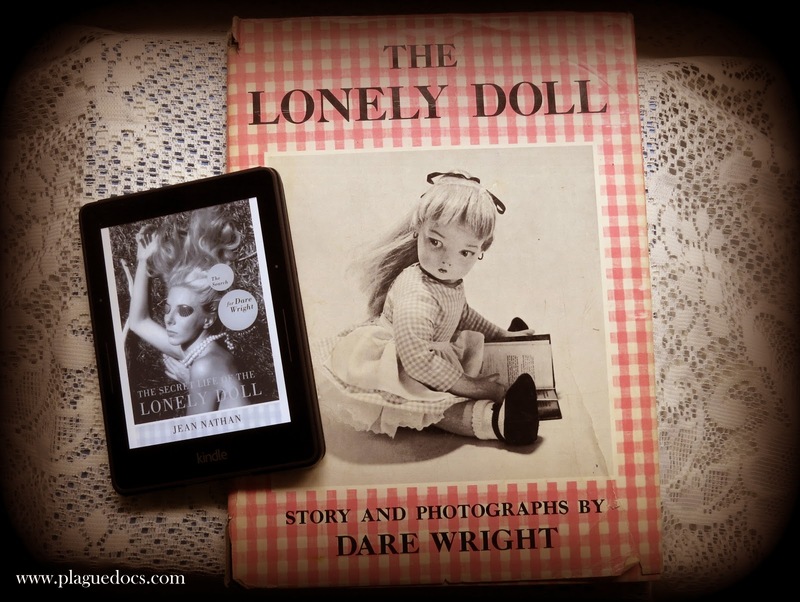 As a little girl, one of my favorite picture books was "The Lonely Doll" by Dare Wright. The story is a simple one: a lonely doll named Edith is befriended by a pair of teddy bears. "Little Bear" becomes Edith's best friend and partner in mischief, while "Mr. Bear" serves as parent figure to both of the smaller toys. What makes the book memorable are the hauntingly beautiful photographs of real toys. Caught as if in mid action, their poses and stuffed faces convey a remarkable range of emotions. Perhaps because they knew it was a favorite of mine, or perhaps because they recognized its unique artistry, my parents had hung on to the book, and I was delighted to see it again a few years ago. First published in 1957, "The Lonely Doll" was wildly popular in its day. Readers "of a certain age" may remember it fondly -- as I do, and as did journalist Jean Nathan. Nathan began a quest to find a copy of the book, which in turn fired her determination to research author Dare Wright and share her complicated story. Jean Nathan's biography of Dare Wright, "The Secret Life of the Lonely Doll: The Search for Dare Wright,"is a psychological tale of a highly-talented woman whose life was overshadowed by dependence on her domineering mother. Not coincidentally, Dare's mother was named Edith -- just like Dare's favorite doll. Edith Wright was a successful portrait painter. A single mother, she supported herself and Dare with her art. 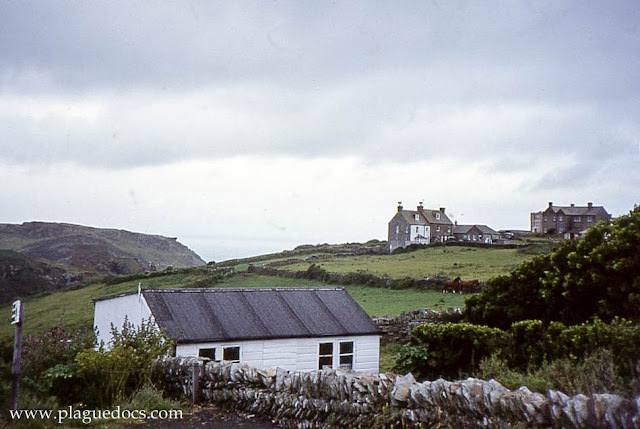 Commissions could be sporadic as well as involve travel, so Dare had something of a nomadic childhood, often spending long stretches left alone with various relatives. In other words, she had ample opportunities to develop her own creative imagination but fewer to interact directly with the real world. As a young adult, Dare's attempt at an acting career was not particularly successful, but she went on to become a sought-after photographer's model in the late 1930s and 1940s. Eventually she found her true creative calling when she moved behind the camera and became a skillful professional photographer herself. The gift of a teddy bear in 1955 became the seed for her career as a children's book author. There were 10 books in the Lonely Doll series, and many other books as well. Her estate has an official webpage where you can find her complete bibliography as well as samples of her photography -- including many self portraits. Her biography reveals that despite success, Dare continued to live a hothouse existence -- never really establishing adult personal relationships, but remaining in her mother's shadow. The two of them always vacationed together: making costumes, dressing up, creating tableaux, and taking photographs. It was as if Dare's existence was an art project to be polished and preserved, rather than experienced. Aspects of Dare Wright's story reminded me of another dysfunctional mother-daughter pair documented in the film "Grey Gardens." Cousins of Jackie Bouvier Kennedy, "Big Edie" and "Little Edie" (yes, more Ediths!) fell onto hard times and scratched out a surreal existence in their decaying mansion, Grey Gardens. I promise to avoid spoilers for the mystery, but reading "Gone Girl," by Gillian Flynn also reminded me a bit of Dare's story. Dare fictionalized her own childhood, while Amy Elliot Dunne's life was appropriated into popular children's books by her parents. Both Dare and the fictional Amy were confronted with perfected versions of themselves, which they never could live up to. For Dare Wright, the doll Edith was more than just a toy -- more even than a much-loved character she wrote about. For Dare, her doll was an alter ego.